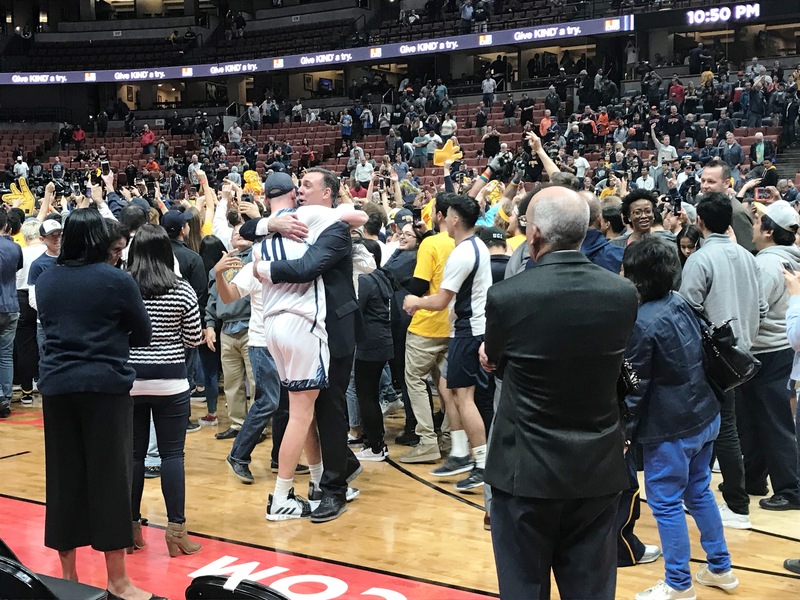 For only the second time since UC Irvine began playing basketball as an NCAA Division I team in 1977, the Anteaters have been invited to the March Madness dance, thanks to a revenge win against Cal State Fullerton Saturday night at the Honda Center. 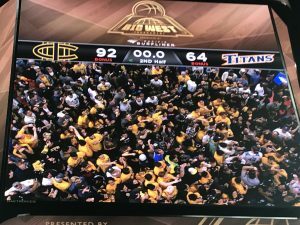 After losing last year’s Big West Tournament final to the Titans on the same floor, UCI utterly dominated this time around, 92-64. The Anteaters had nearly all their players back from last year’s squad, and that depth and experience led to a 30-5 record, only one loss so far in 2019, a school-record 16 victories in a row with Saturday’s win and defense and rebounding that are among the best in the nation. Another basket falls in for UCI, which shot 61.8 percent from the field. Irvine, an automatic selection for the NCAA tourney because of the Big West championship win, was deemed the No. 13 seed in the South Regional and will play No. 4 seed Kansas State at 11 a.m. Friday in San Jose. Going into the game with more overall wins than any Big West representative in the NCAA tourney since the 1990-91 Nevada Las Vegas Runnin’ Rebels (who fell to Duke in the national semi-final), UCI faces a rematch of its November 2017 non-conference clash in Manhattan, Kansas, where the Wildcats trounced the Anteaters, 71-49. But Kansas State is not taking UCI lightly, at least to hear guard Barry Brown Jr. tell it. UCI coach Russ Turner hugs Collin Welp after the decisive victory. How great? Irvine is only one of two California schools to make the NCAA tourney this year, the other being St. Mary’s in Contra Costa County. Since the campus opened in 1965, UCI has only made the March Madness field of 64 teams one other time, in 2015, when the No. 13 Anteaters led into the final minute of an East Regional match before barely losing to No. 4 Louisville, 57-55. Scoreboard monitor shows a mass of UCI students and alumni on the court moments after the final buzzer. With Big 12 regular season co-champion Kansas State coming off an upset 63-59 loss to Iowa State in the semi-finals of the conference tourney Friday night, UCI’s dominance the following night could be a factor. Coach Russell Turner says he told his team throughout the week that he didn’t want to leave any doubt that they were the best Big West team this season. Their 28-point margin of victory is the largest ever in a Big West title game. The Anteaters took control early, scoring 11 straight points on the way to a 13-4 lead with 16:21 remaining in the first half. During that run, guard Max Hazzard scored nine points, all on 3-pointers. A 3-pointer by redshirt freshman forward Collin Welp with 15:13 left put UCI up by 12 (22-10), and the Anteaters kept the margin in double digits for the rest of the game. 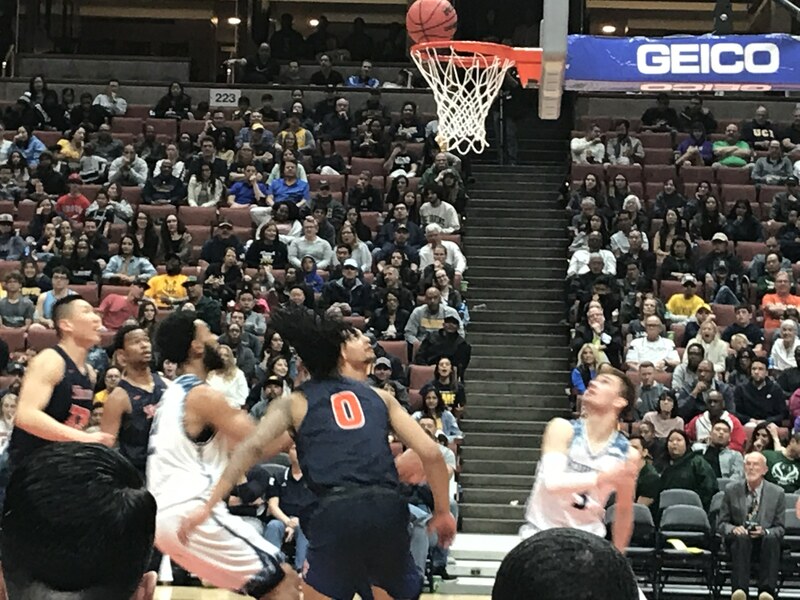 Their well-regarded, stifling defense kept the Titans (16-17) in check, but the Anteaters also shot the lights out by draining 34 of 55 from the field, or a 61.8 percent accuracy rate, including 10 of 14 on 3-pointers for 71.4 percent and a tournament single-game record. 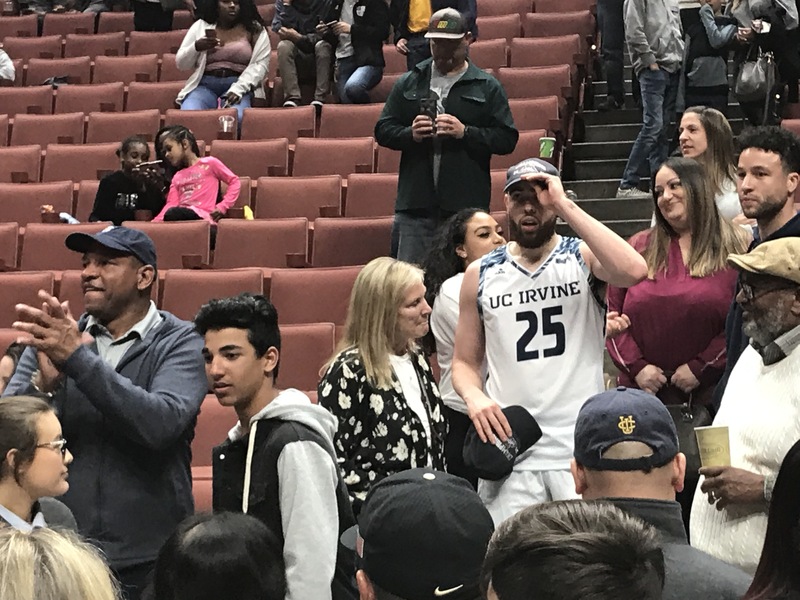 LA Clippers coach Doc Rivers applauds UCI win as his son Spencer (No. 25) puts on a new Big West champion cap. Fullerton’s Kyle Allman Jr. led the Titans with 16 points and Austen Awosika added 13. Guard Khalil Ahmad, who had scored 60 points in the first two tourney games, was held to only six points and 1 of 9 shooting from the field. Leonard and Robert Cartwright each scored 10 points and Welp and Hazzard had 23 points apiece for UCI. 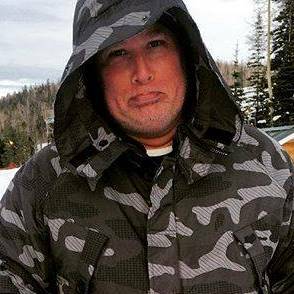 Welp, whose late father Chris played three seasons in the NBA after being the University of Washington’s career scoring leader, got on hot shooting streaks coming off the bench that had fans in the crowd repeatedly shouting “MVP” (and at least one over my shoulder adding “Larry Bird”). However, the tournament MVP award went to Hazzard, the grandson of the late UCLA and NBA great Walt Hazzard. After the final buzzer, UCI students and alumni flooded the Honda Center court. 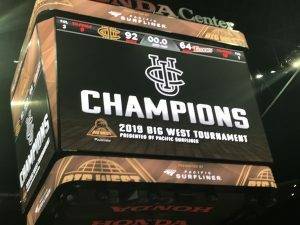 Standing on the outer edges, I came up with about an even count of dozens of people posing for photos with veteran CBS2 sports anchorman Jim Hill and Los Angeles Clippers coach Doc Rivers, whose son Spencer, a UCI senior guard, contributed important minutes in the final. UNLV lost to Duke in the semi-final, not the final. Thanks for the heads up, Vern!